How To Use and Download Naa Vote App On Android & iOS Mobile Phone? What is the Naa Vote App? The Naa Vote App is a Free Mobile application, which was launched by the State Chief Electoral Officer (CEO) Dr. Rajat Kumar on 30th November 2018. The app has been launched for both the Android and iOS Mobile phones users. It has been designed to help the citizen to participate better in the assembly elections of Telangana state, which will be starting from the 7th of December 2018. The app has been launched with a great number of features that would support or help the user or the citizen during the election season. Therefore, if you are a citizen of Telangana then by making use of this Naa Vote App on your mobile phone, you will be able to find the name of the polling station with the EPIC number or voter name, get to find the best route to reach polling station, search the nearest station or bus stop and also get to find the EPIC number with name and many more. Together with this, if the voter is a PWD voter, then he will be able to find the details of the assembly constituency and the candidates, who are contesting from there, he informed. The best use of the app is that, if you are voter of the assembly elections of Telangana state and if you want to download this new mobile app to get details of Telangana elections then you will find that it is available for all mobile and others devices like Android, iOS, and also for the pc so that the users can download it. 1 What are the Features of the App? 2 How To download Naa Vote App for Android, iOS or Pc by Play store? The Naa Vote App will be able to aid the voters under the persons with disability category. The app will provide information about the Assembly Constituency along with the list of contesting candidates. The app has also been designed in association with the NGO Let’s Vote and would be loaded with more and more features in the coming days. The app has also got the operations across the State and user from any part of the State will be able to make use of this app. 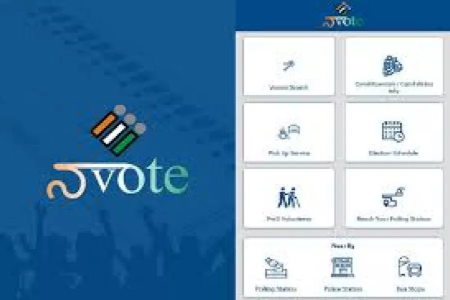 Given the name ‘Naa Vote’ which means My Vote, this new app is made sure to be operative on both Android and iOS phones, and it will allow the voter to search for his electoral photo identity card number with the name which will, in turn, allow him/her to locate their respective polling station. The app will also allow the user to locate the best route to reach the polling station under which he/she is enrolled, by providing all the required details of the nearest bus stop or railway station. Chief Electoral Officer Rajat Kumar formally launched the app here on the 30th of November 2018 and the users will be able to download the app from the Google Play Store. 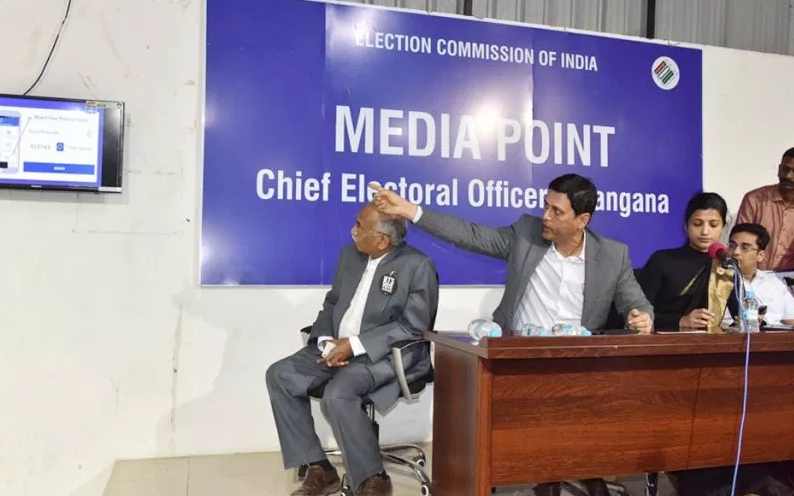 Joint CEO Amrapali Kata said, “the app has operations across the State and the users from any location could access their personal elector details as well as the details of the polling stations to which their names were assigned”. How To download Naa Vote App for Android, iOS or Pc by Play store? Visit the Google Play Store or the App Store on your mobile and search for “Naa Vote App”. Then click on install or download icon in the page. Now install the app. That is it. Now you can open the app and head on to the Homepage of the app and select the required option. Now you can easily search the polling station, EPIC number or voter name, best route to reach polling station and the other details. The app is sure to help the voters to find for EPIC (Electoral Photo Id card) number or the name of the polling station, the route to reach polling station, nearest station or bus stop and also for a request for pick up if the voter is a PWD persons with disabilities voter. Thus, it has been one of the best steps taken by the Telangana State to bring forward an app like- Naa Vote App which is sure to help each and every citizen of the state, unlike earlier days where we need to sit and find out each and every detail before we go for voting. Even people with disabilities are provided the benefit of pickup and drop which is one of the greatest steps brought forward ever.